Kumaran Design: Buildings I Like - Barns! Buildings I Like - Barns! 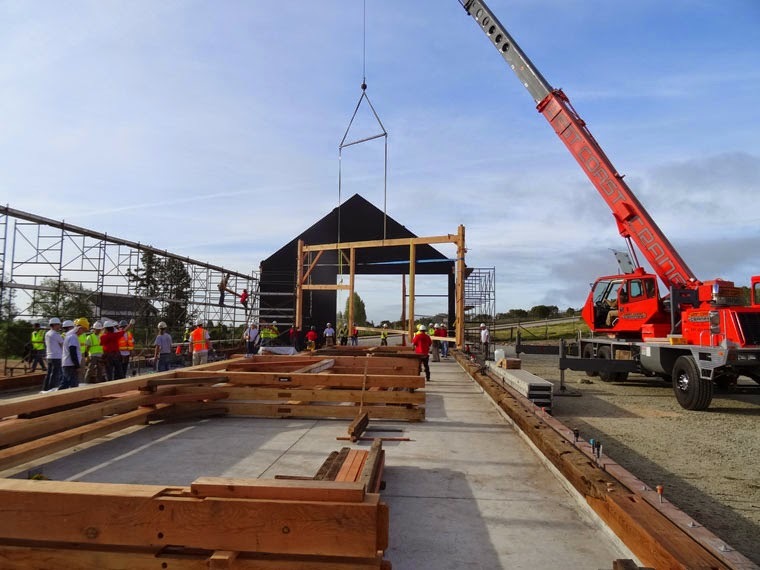 We recently volunteered to help fabricate and assemble a beautiful timberframe barn at UC Santa Cruz, recreating the Cowell Ranch hay barn. 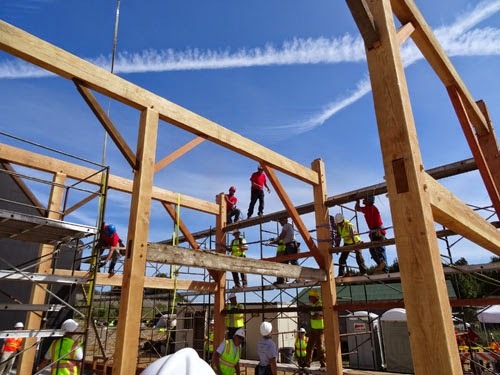 Slated to become a center for sustainability programs, properly maintained this 'new' barn should last hundreds of years - effectively the life cycle of the trees from which the timbers were milled. 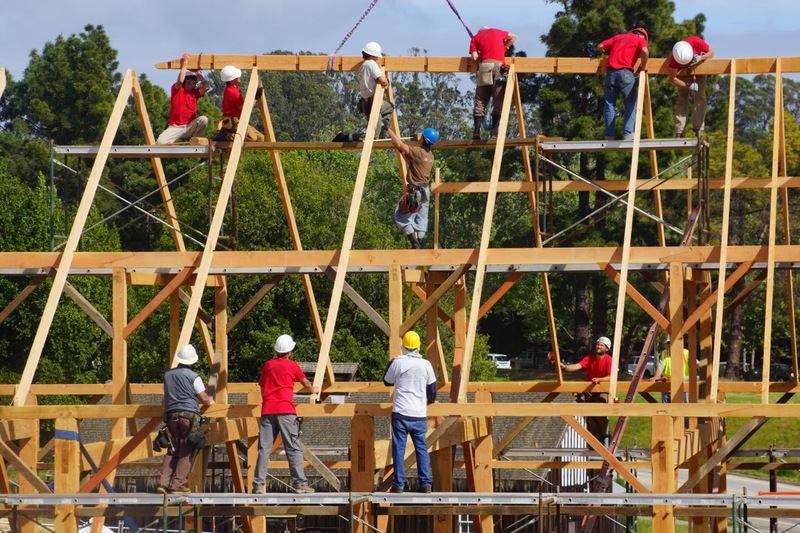 Congratulations are in order to Karl and Ginger Bareis of Santa Cruz Timberframes, http://www.santacruztimberframes.com/, for their splendid work; proving some of the old ways are not a 'lost' art. 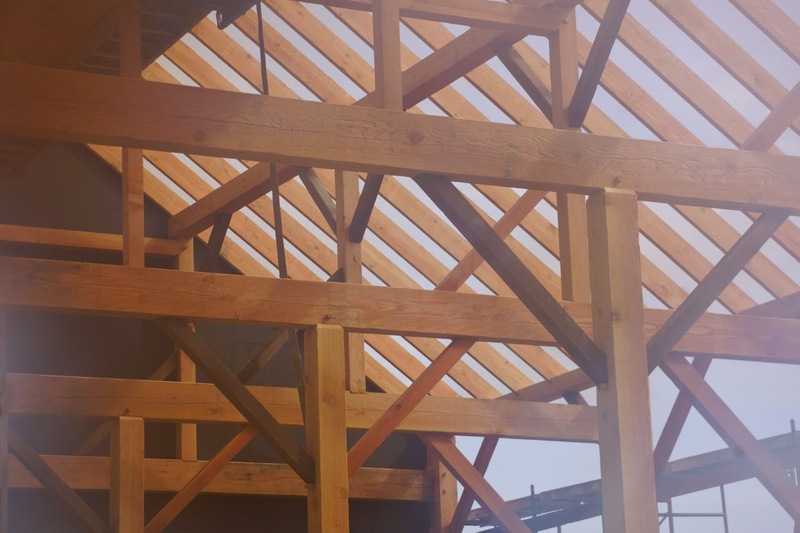 Finally, timberframes are a core strength of Kumaran Design. Would you like one?